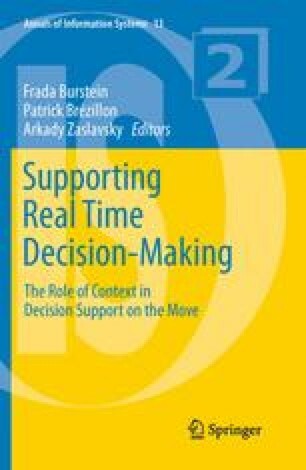 This work explores the concept of improvisation as a framework for understanding real-time dynamic decision making (RTDDM) and systems support for it. The contexts for RTDDM and those in which agents improvise are remarkably similar according to several parameters. The foundations of improvisation are built on management theory, practice, and education. The work provides a rich definition of improvisation and a typology of different improvisational contexts based on two key dimensions. This framework illustrates how seemingly diverse contexts such as emergency management and jazz performance are related. The work then explores the antecedents of improvisation, degrees of improvisation, the elements for individual and team improvisation, and effective improvisation. The work then explores the design of Real-Time dynamic decision support systems (DSS). These are broken into pre- and postperformance support, as well as Real-Time support. The conclusion is that our knowledge of improvisational contexts can shed new light on RTDDM systems design and development.